The Washakie County Conservation District's (WCCD) Rural Cost Share program was created to help fund projects that make a positive difference on the land. The focus of the program is to positively impact water quality, enhance or protect soils, and enhance habitat (either forage or animal). 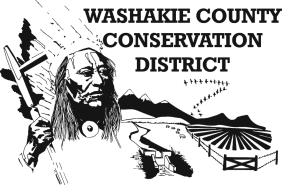 If you're interested in implementing natural resource improvement projects, the WCCD is currently accepting applications for cost share assistance from Washakie County residents. The amount of cost share available for each project is a maximum of 50% cost share and a maximum of $10,000.00. The Washakie County Conservation District (WCCD) Board of Supervisors will determine the amount of cost share for each project on a case-by-case basis and requires that the landowner invest at least 25% match (cash or in-kind) for each project. The WCCD Board reserves the right to adjust the cost-share final payment based upon actual amount of the project. Cost reimbursement will be based upon actual costs, unless actual costs exceed 10% over the estimated cost. If the actual cost exceeds 10% over the estimated cost, the applicant will be responsible for the difference. Applications are due by the first week of every month. Applicants are required to attend a WCCD Board meeting within the month that they have applied, in order to present the project and answer any questions the WCCD board may have. Grant selection and payment decisions will be made by the WCCD Board of Supervisors during their board meetings on the third Monday of February, May, August, and November. It is the responsibility of the applicant to make the case that the project meets the goals of the program and has public benefit. Applicants are required to provide a map of the project area area and attach all cost estimates associated with the cost breakdown on the application budget sheet. All projects must be pre-approved before being initiated and must be evaluated upon completion.